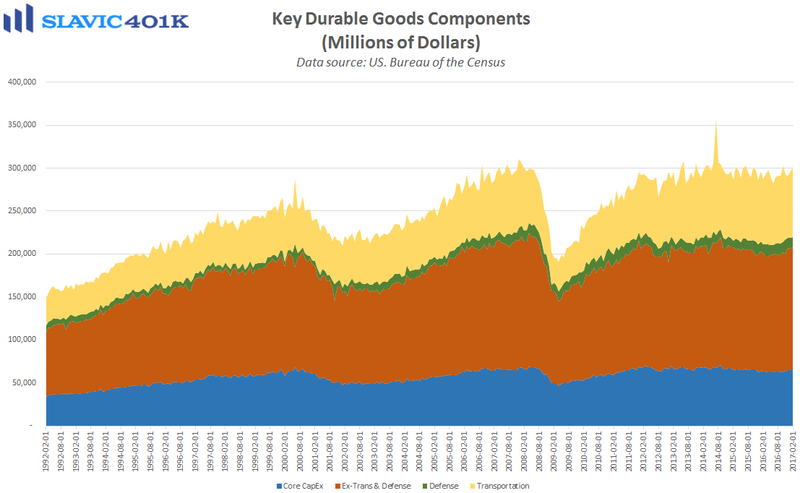 The only important economic data released this morning was a report from the Census Bureau, which showed that new orders for U.S.-manufactured durable goods (items meant to last at least three years) rose in February by $3.9 billion (1.7 percent) to $235.4 billion. That was the second monthly increase in a row, better than expected, and the headline gain from January was revised higher. 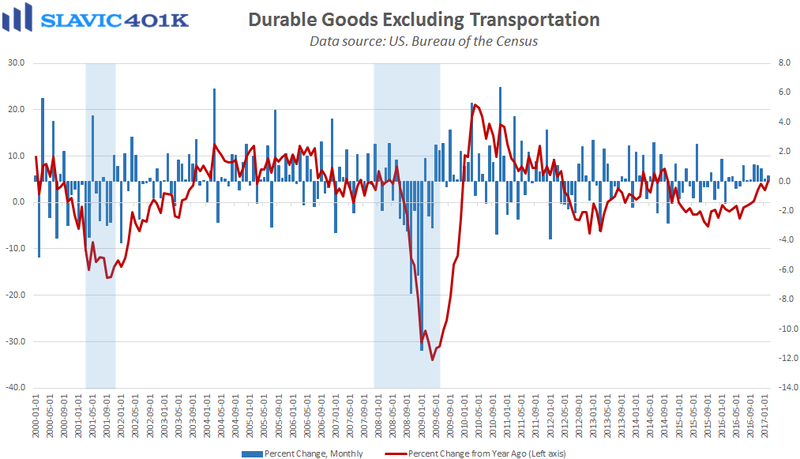 “Core” durable goods orders, which exclude the volatile transportation component, rose by 0.4 percent in February, much worse than the 0.8 percent increase economists had anticipated. 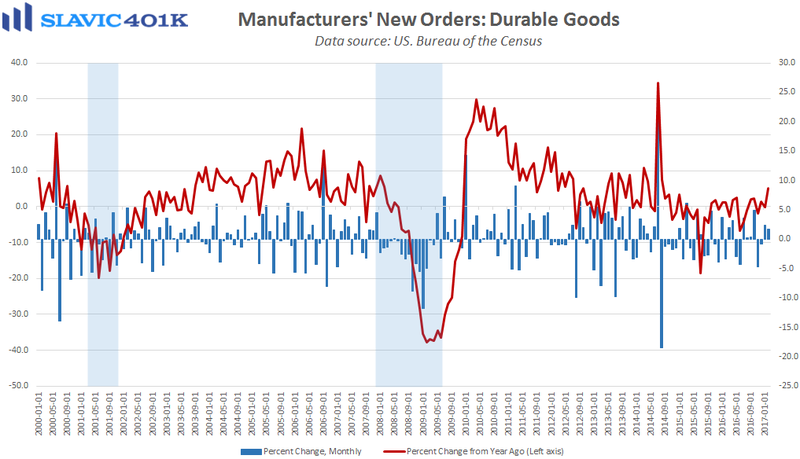 However, this was still the eighth monthly gain in a row for core durable goods orders and enough to lift year-over-year growth to 4.6 percent, the best reading since 2014. 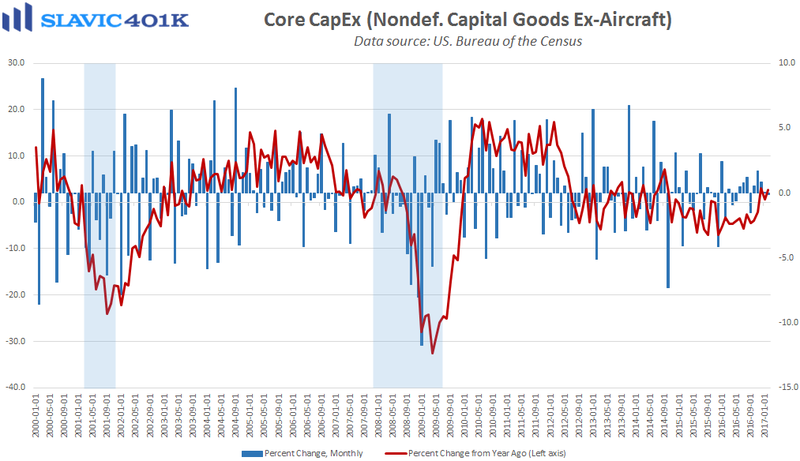 A clear negative in this report, though, was orders for nondefense capital goods excluding aircraft, i.e. core capital expenditures. This important proxy for U.S. business investment fell by 0.1 percent in February, the first monthly decline since September and below the 0.5 percent gain that was expected. On the bright side, shipments of capital goods ex-aircraft and military hardware lifted by 1.0 percent in February, which bodes well for gross domestic product (GDP) growth in the first quarter of 2017.